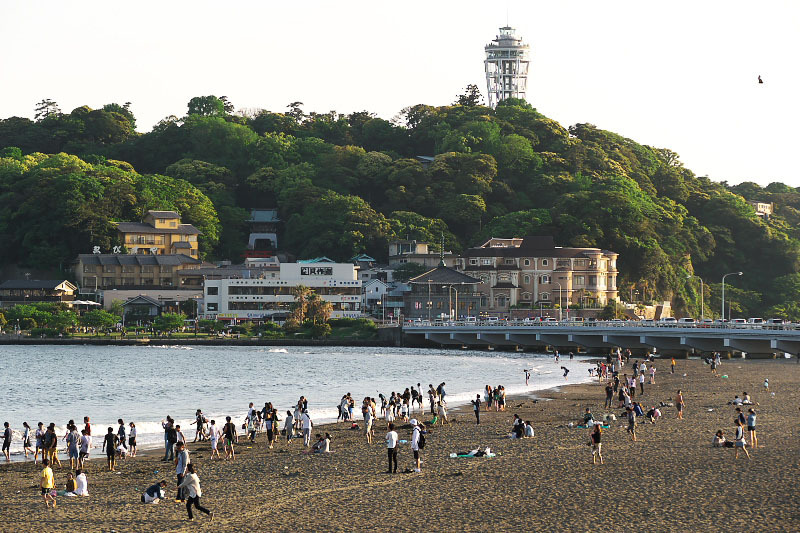 Enoshima is one of the popular destination for 1 day trip from Tokyo among Japanese. Here is facing the Pacific ocean in the heart of seaside of Kanagawa near famous sightseeing spot Kamakura. And it is often referred to as "Mont Saint Michel of the east" by its shape. 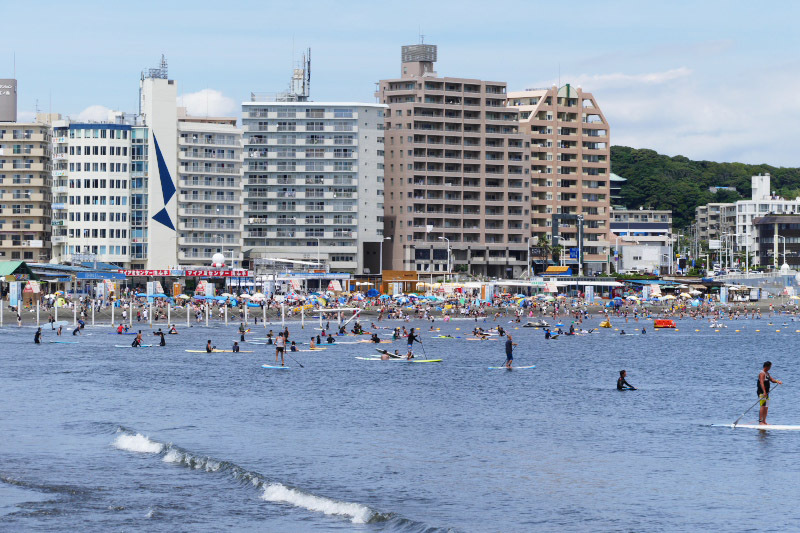 Also the beaches around Enoshima and Kamakura are well-known swimming beach in summer and popular marine sports spot such as surfing, swimming, beach volleyball and sailing. Climate is warm almost throughout the year, but it has very hot days sometimes in summer. In recent years, Enoshima become famous for fresh seafood especially "shirasu"(whitebait - young sardines), fantastic illumination event in winter and cute street cats. And do you know? 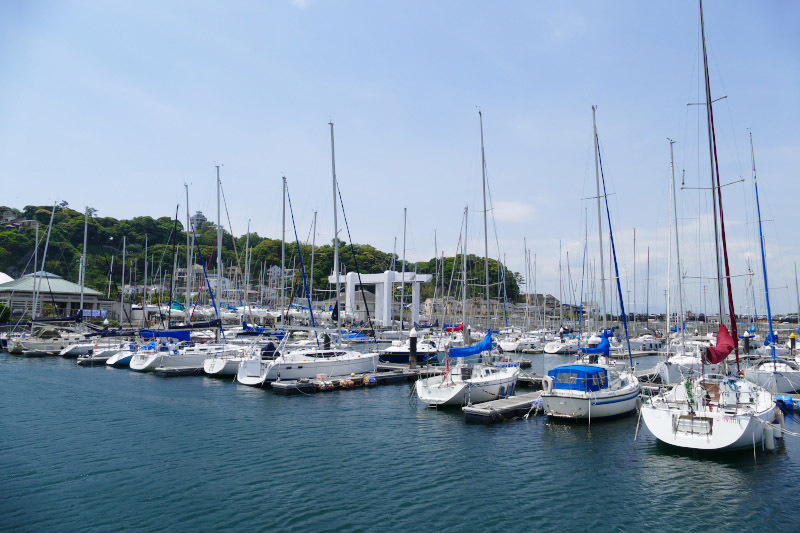 Sailing competition venue of 2020 Tokyo Olympics is here! However, Enoshima Island has long history and unique culture, that was related to a old love story of a goddess and the dragon. And there are many places, temples and shrines in the area that have relationships with Kamakura Shogunate and its samurai culture. Because of Kamakura was a capital city of the samurai government in Japan in 12th century. 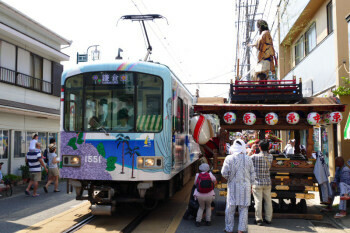 Enoden Line train that links seaside of the area is not only a transportation but also a very popular tourist spot. It is famous and loved for the reason that the stations and train remind of the good old days of Japan, and it runs various places from the downtown to the seaside via mountainside and the back of the houses. This area and Enoden train appears as the stage of many drama, movie, anime and manga works. In recent years, the fan of these works are visit here to see the real place and experience the feeling of the characters. In Japan, "E" does pronunciation like "A". So, Japanese pronunciation is similar if you pronounce like "A-no-shima", when you say "Enoshima". 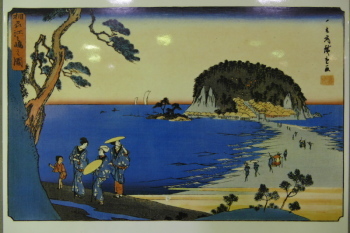 Enoshima Island is said to appeared suddenly on the sea in 552, according to old tale. In 700(Nara era), En no Ozunu visited and trained at Iwaya Cave. Thereafter, the island was treated as a sacred place and known for ascetic practice place. In 814(Heian era), famous Buddhist priests Kukai (Kobo Daishi) worshipped to Iwaya Cave and built a shrine. 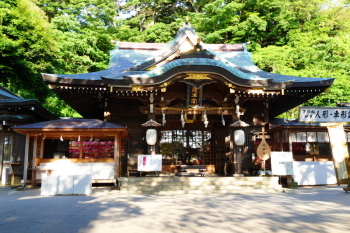 In 1182, Minamoto no Yoritomo (the founder and first shogun of the Kamakura Shogunate) enshrined Benzaiten goddess at the place of current Okutsunomiya Shrine. After that, Enoshima Island became to receive the faith of successive men of power. The famous historical person who visited Enoshima. 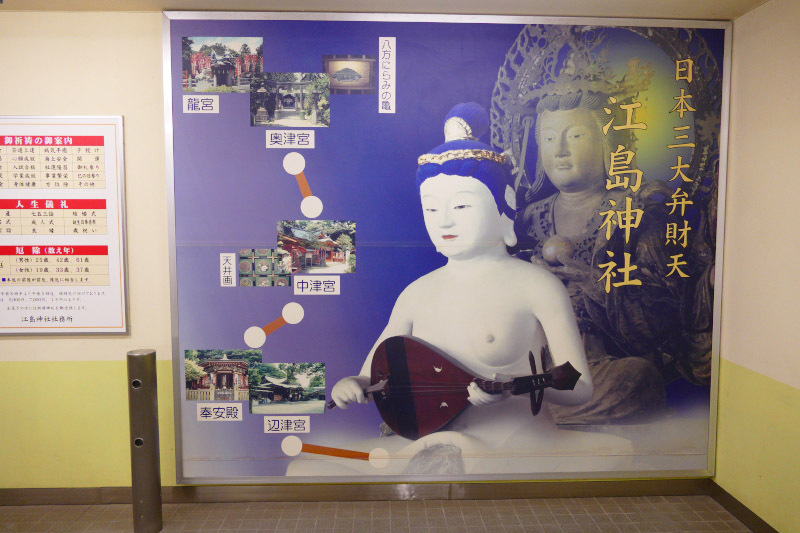 Benzaiten goddess is known for god of music, dance and the art, so lot of actors and musicians worshipped in Enoshima. 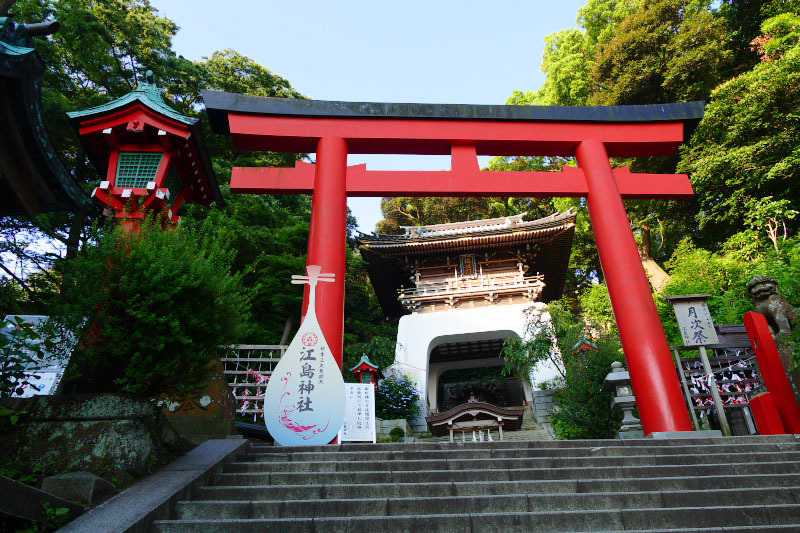 In Edo era, visiting Enoshima and worshipping Benzaiten goddess became a popular sightseeing and pleasure for Edo inhabitants. Furthermore, Enoshima Island became the locations of Kabuki and was drawn on the Ukiyoe print, the island came to be known in nationwide. You can see some tiles which reproduced the old Ukiyoe print which drew Enoshima Island, at the center of the underpass in Katase town. 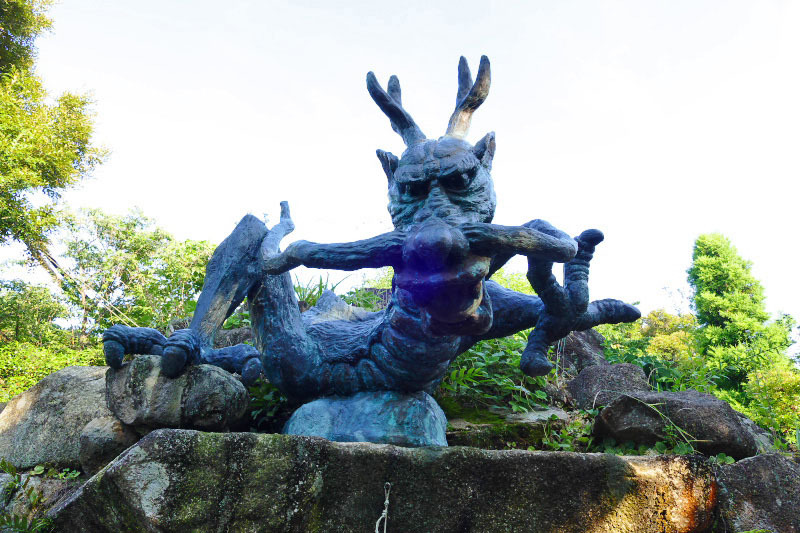 Dragon is another important existence for the culture of Enoshima. 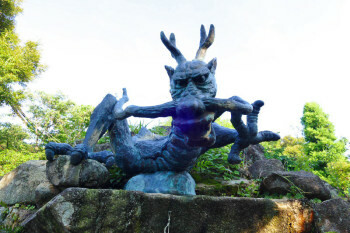 There is a old tale that a five-headed dragon lived in current Katase Town (opposite shore of Enoshima Island). Originally, the dragon did the evildoing and tormented residents. One day, a beautiful goddess began to live in Enoshima Island. The dragon fell in love her and proposed marriage, but was declined by the reason of the evildoing to residents. The dragon was shocked and reformed itself to become the guardian angel of residents. Later, the dragon and the goddess married and brought prosperity and peace in the area. Therefore a lot of places, things and festivals in connection with Benzaiten goddess and the dragon exist in Enoshima and Kamakura, and the reason that Enoshima is the power spot of fulfillment of love. What and where to see? On the other hand, there are new tourist attractions such as Sea Candle observation tower and Samuel Cocking Garden. 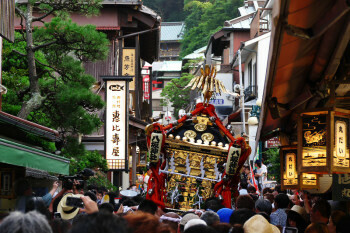 Various must-see events and festivals are held in Enoshima and Kamakura throughout the year, including the traditional festivals based on old legends and historical facts or the illuminations that use full of the state of the art technology. 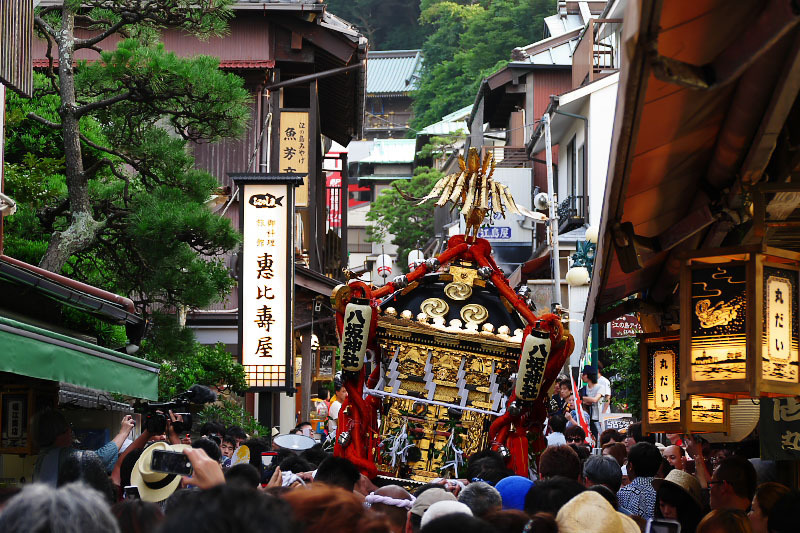 Joining these events and festivals is a unmissable good chance to experience the real Japan's tradition and culture! What to eat and buy? You can also enjoy cafe and sweets in the area too. Some shops or cafes offers Japanese style sweets in old traditional wooden house. Most of restaurants, cafes and sweets shops are unable to provides religious foods such as Hindu, Muslim and Kosher or Vegetarian food. Seafood products are traditional souvenir of the area. But Zakka (miscellaneous goods) is becoming popular souvenir items especially at Nakamise Street - the main street of Enoshima, Hase Town in west of Kamakura and Komachi-dori street in the center of Kamakura recent years. 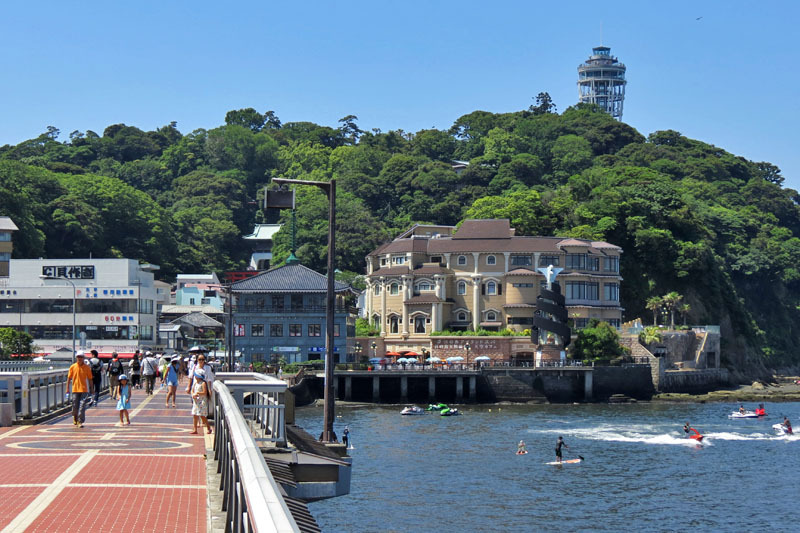 If you want to stroll the shore under the comfy morning sun or experience the night of Enoshima Island surrounded in a quiet atmosphere, we recommend that you 'd better stay neighboring in the island. 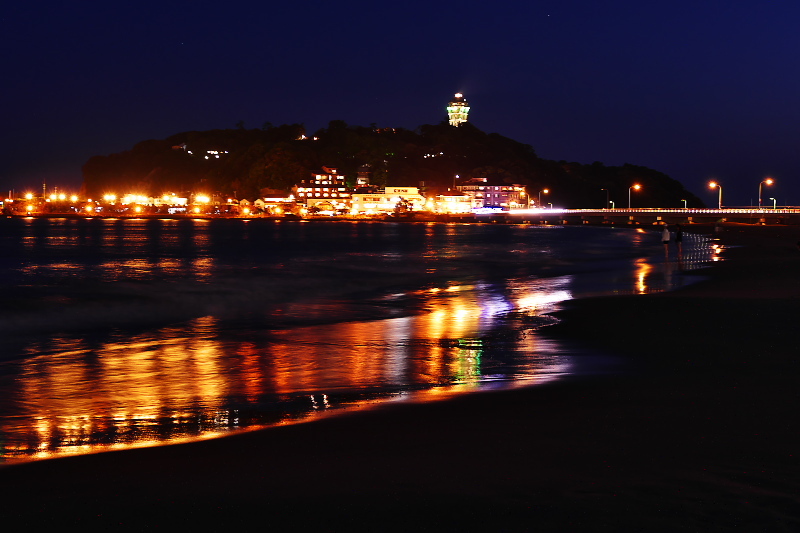 Ryokan (Japanese-style hotel) and hotels are available inside of Enoshima Island. 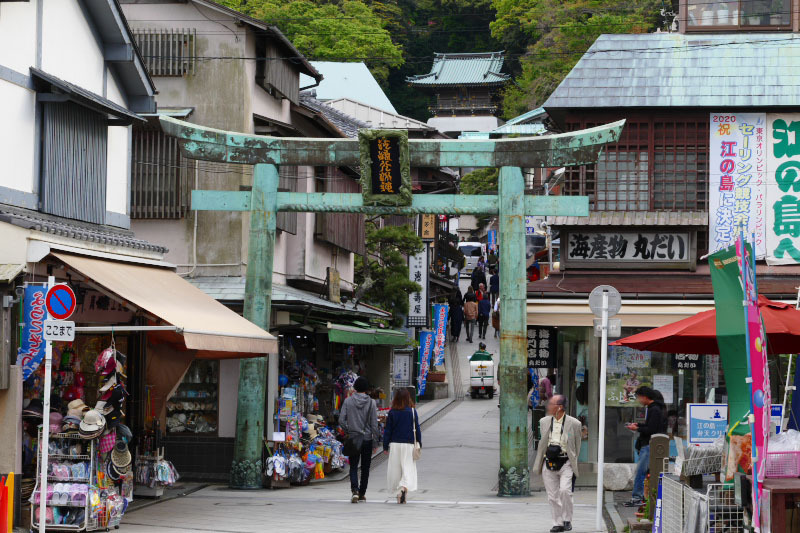 Some of them stands in Nakamise Street has very long history since Edo era. 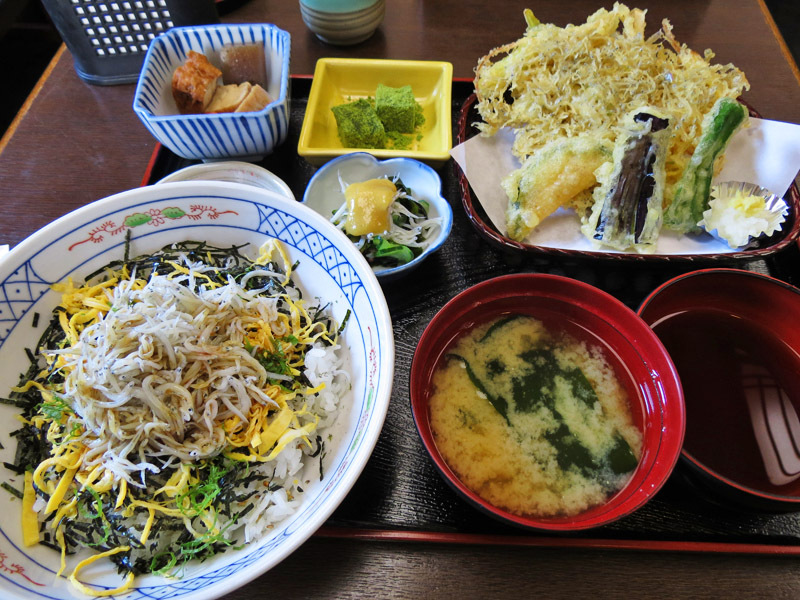 Ryokan and hotels are also located in Katase Town. Standard or luxury hotels and guest houses are also located in Koshigoe, Shichirigahama, Hase, Fujisawa, Kamakura and Ofuna. More detail information available on our Where to stay - Hotel List page. Most of the restaurants and shops in the area are small, and don't accept credit cards or debit cards. In addition, there is no bank and money changer that accepts foreign currency near Enoshima Island. Limited restaurants and shops are accept major credit cards. Anyway, you have better to bring Japanese Yen cash, when you visit here. 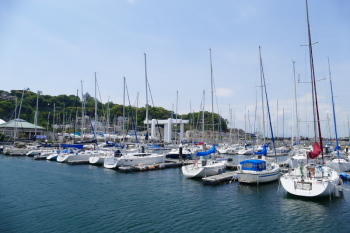 Shops and restaurants in the center area of Kamakura City are accept major credit card for your payment. 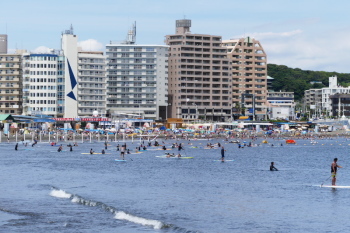 The roads around Kamakura and Enoshima is often crowded very much especially on the weekend and summer holiday season. And the parking lot in Enoshima Island is limited too, it may be kept waiting at very long time. Therefore we advise you to use a train and a monorail to come to Kamakura and Enoshima for prevent a waste of time. Enoden Line is the most convenient way to go and see the area that connects between Kamakura and Fujisawa via Enoshima. This train appeared on lot of TV dramas, animes and movies that staged in this area, because of very popular with Japanese its nostalgic and beautiful seasonal scenes. 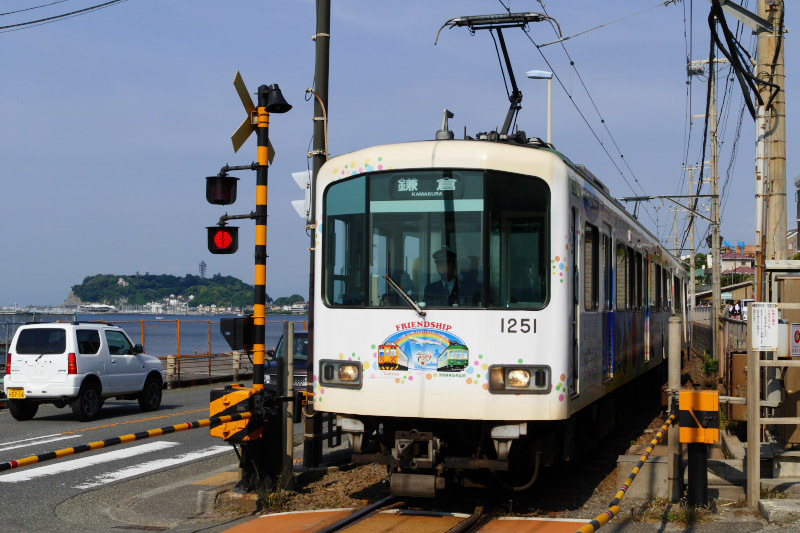 Especially, Kamakura Koko Mae Station and rail crossing near there, is well-known place by able to see and experience same scene of these dramas, animes and movies. More detailed info available on our Enoden Line guide page. Detailed access information from Tokyo metropolitan area and Yokohama, Please see here. 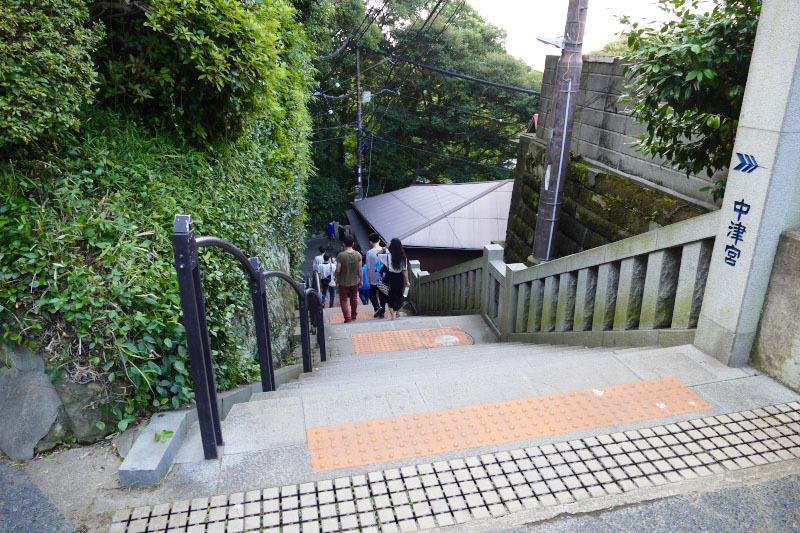 There are very limited free Wi-Fi spot available around Enoshima by geographical reason. However, it is steadily increase in recent days. We guide the detailed location of free Wi-Fi spot by the area on our "Tourist Spot Guide" page. When you looking for and find your nearest free Wi-Fi spot, you can use "Japan Connected-free Wi-Fi" app. TownWiFi app can connect to more than 200k free Wi-Fi spots in Japan automatically. At all stations of Enoden Line, Odakyu Line's Katase-Enoshima Station and Fujisawa Station are available "Odakyu Free Wi-Fi". It is not supported by "Japan Connected-free Wi-Fi" app, select Odakyu_Free_Wi-Fi on your device. Limited number of coin lockers are available in the public area of some major stations to temporary luggage storage. Location are as follows. JR Line station: At the backside of ticket counter, opposite of a sweets shop. Odakyu Line station: On the left outside of the South Exit. Enoden Line station: At the left side of exit on the right towards the ticket gate. Inside the station building near the ticket vending machines. *No coin lockers at Katase-Enoshima Station and Shonan-Enoshima Station. At Platform 2 (*Inside of paid area). No coin lockers in the public area. JR Line West Exit: On the right outside of the station building. JR Line East Exit: At the right side of exit near Police station. Another one is in the left side of exit near Tourist Information and underpass. On the 4th floor of the building next to the left of Enoden Line Station exit, temporary luggage storage service offered by Kamakura City tourism association. Escar (paid escalator, one-way to climb up only.) connects from the end of Nakamise Street to Sea Candle on top of the island. But it is unable to carry wheelchair and no way to go back. Enoden Line and Odakyu Line has barrier-free facility or able to assistance.